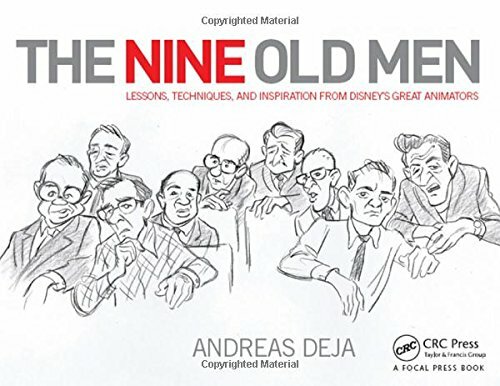 I've always read about the nine old men in other Disney related artbooks and finally there's one whole book dedicated to them. And who else more suitable to write it than Andreas Deja who's a veteran animator himself, and one who has worked with the legendary animators. This 392-page hardcover is a wealth of information and inspiration on traditional 2D animation. It probably best that you have watched all the old Disney classics because they are mentioned throughout, that's in addition to the obscure short films that have been made along the way. The chapters are grouped to each animator, namely Les Clark, Marc Davis, Ollie Johnston, Milt Kahl, Ward Kimball, Eric Larson, John Lounsbery, Wolfgang Reitherman and Frank Thomas. Each chapters talks about their career and the projects they handled with selected sequences picked out for more explanation. After going through the whole book, you'll sort of get how animation works behind the scenes at Disney, find out how the nine old men think about their work on hindsight. Some of the meetings with Walt Disney are mentioned and the interesting part is finding out how these animators interpret or handle Disney's instructions or criticism. There are also sequential storyboards included that talk about the animation principles behind. This book should be helpful to animators with all the analysis into the creative process. It's a very insightful and inspiring book. Highly recommended to all animators. Other animation related books I would recommend are Directing for Animation, Mike Mattesi's books, Drawn to Life and Directing the Story.